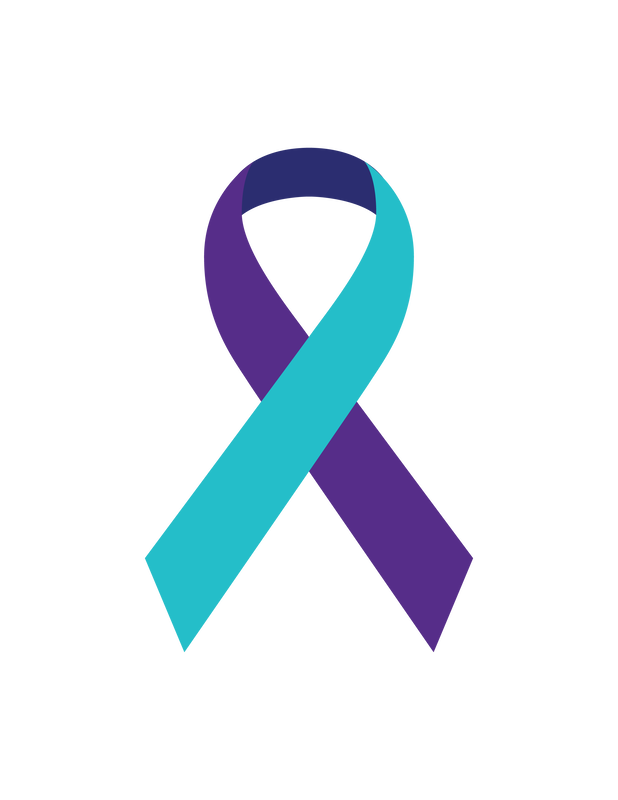 Agora recognizes the importance of Suicide Prevention & Awareness month for our community and those who have been impacted by suicide. 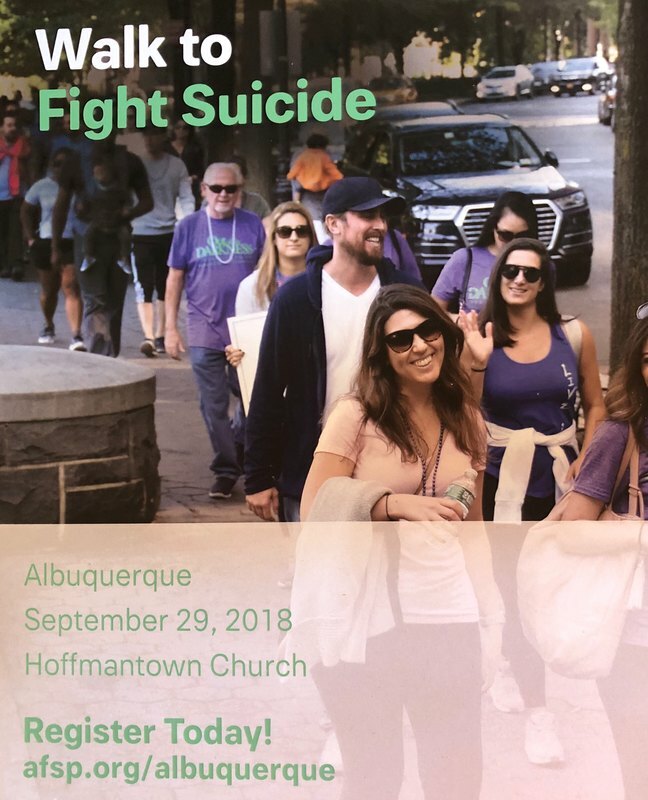 Part of our mission is provide suicide awareness, prevention and intervention training to as many community members as possible, because we know that prevention truly begins with education. If you are interested in getting more involved as a volunteer, attending one of our ASIST training or bringing us to train your group, please send us an email or fill our the contact form. Our Fall '18Volunteer training class is in full swing! But here is the good news: we are always accepting applications! 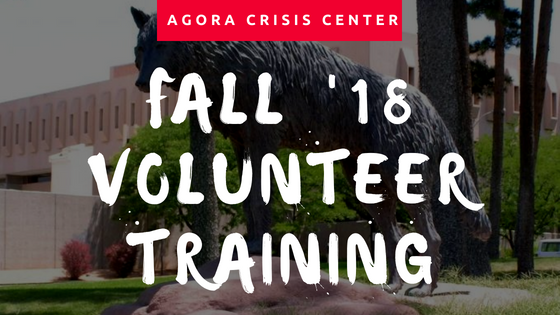 Our next volunteer training will be in the Spring '19 semester, beginning in February. Check out our Facebook to stay up to date with events! Come grab some great food from an amazing local eatery & help support your local crisis center! 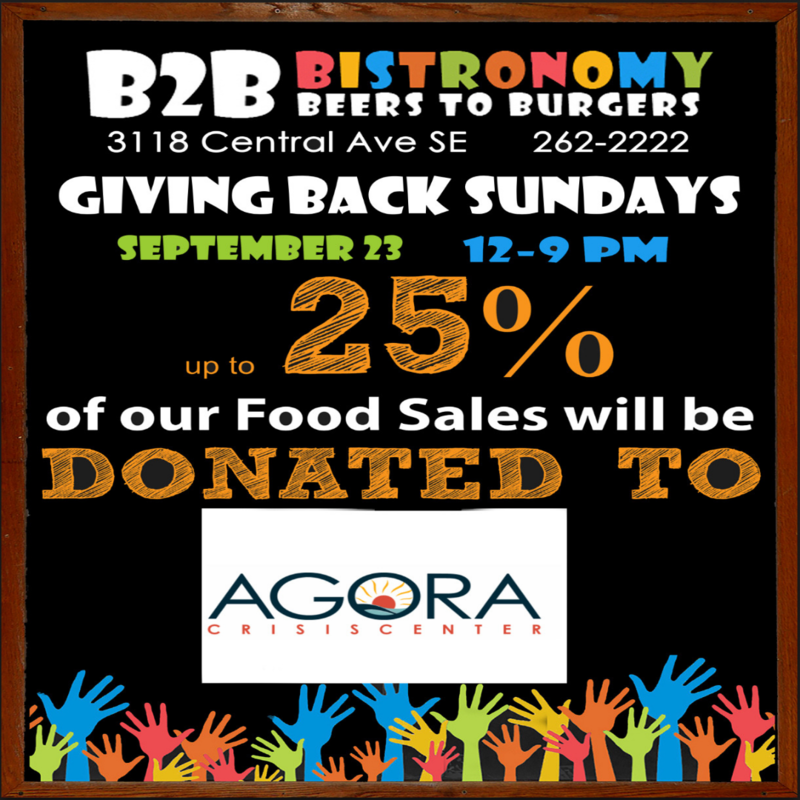 25% of every meal (food only) will go back to helping Agora continue to offer vital suicide prevention and intervention training to our New Mexico communities. Bring your friends and family any time from noon to 9 pm on Sunday, 9/23! Agora will be supporting this years annual AFSP Out of the Darkness Walk. For more info visit AFSP NM website.